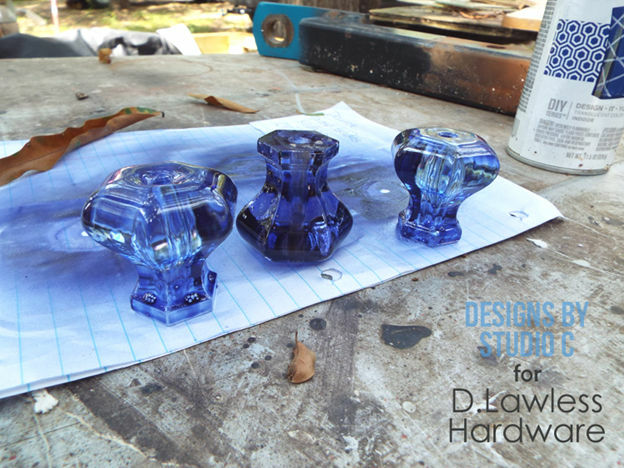 D. Lawless Hardware carries an amazing selection of clear glass drawer knobs. If clear knobs don’t suit the “theme” of your project, why not consider painting them? There are so many new and fabulous products on the market for spray painting glass that I thought I would change the look of a few of these clear beauties for a shelf project! 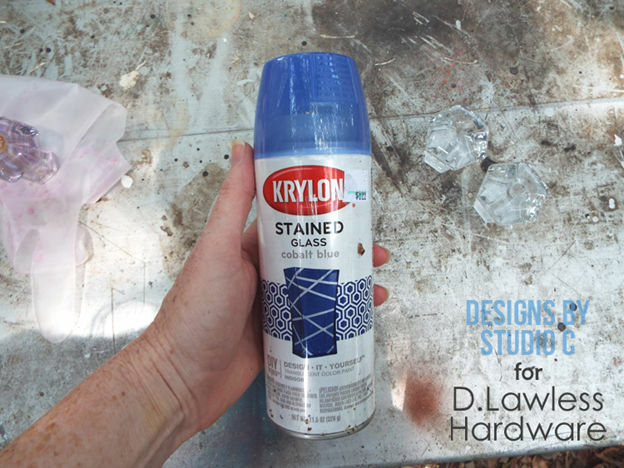 Some of the new spray paints for glass include Frosted Glass, Sea Glass and Stained Glass spray paints by Krylon, and Milk Glass spray paint by Valspar. 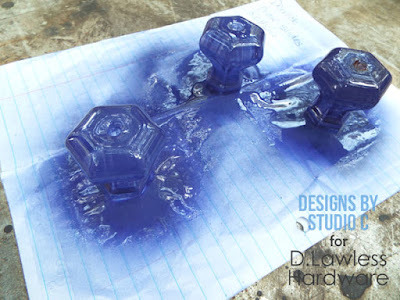 For this project, I’m using Stained Glass spray paint by Krylon in Cobalt Blue (I will be using the other spray paints in future projects!). The Stained Glass spray paint comes in a wide variety of colors and the thing I liked most about the Cobalt Blue is that the color is so vivid when the paint dries! It is virtually impossible to mess it up, too! To begin, wash the glass knobs with mild dishwashing liquid and dry them thoroughly. This makes sure the glass is free of oils from hands as well as any other dirt, dust and debris! 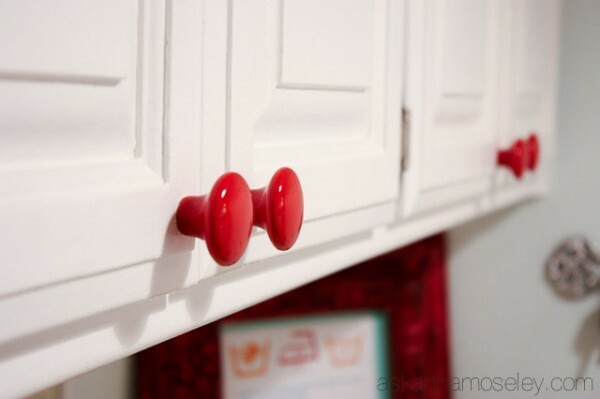 Once the knobs are dry, spray a light coat of the paint on all areas of the knobs. Generally, only one coat is needed but additional coats can be added to deepen the color a bit. (Make sure to pay attention to the instructions on the can for recoat times!) The paint may look a little opaque when it is wet but will become clearer as it dries. I like to let the paint cure at least overnight before adding it to my project. I used these knobs on a wall mounted shelf I built and I love how the color pops against the grey and white! 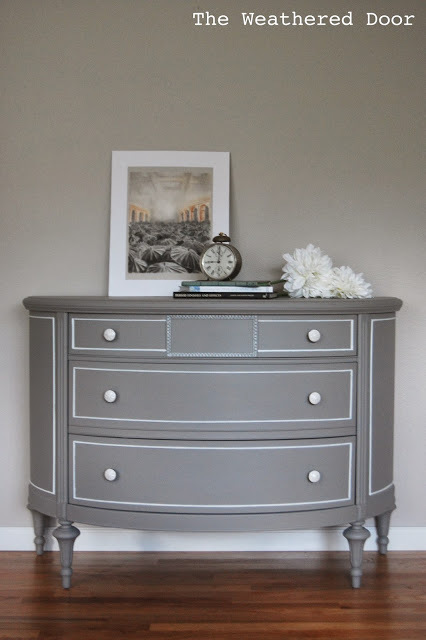 The Weathered Door went with a classic grey and white color scheme for her demi lune dresser. She added the white detail for accent creating much more visual interest to the piece. Looks fantastic! After painting all the cabinets white, Ask Anna Moseley really makes these white cabinets pop with our bright red ceramic knobs. 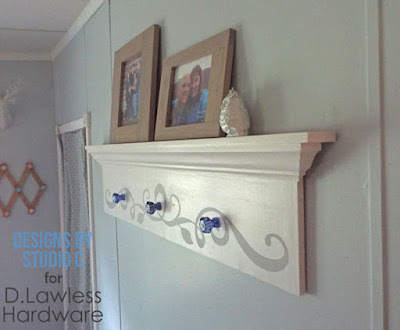 This DIY upcycled cupboard door from Create and Babble creates a unique coat rack. The weathered and aged look comes from applying lime wax. Click over to see the video and pictures for how this piece comes together. The same ceramic indian knobs as used in the last piece are featured again by Embracing Change. This time only adding the final touches to a buffet or media stand. Painted in Miss Mustard Seed's Milk Paint, the chips and spots let you see the deep red below making a very sophisticated time worn look. 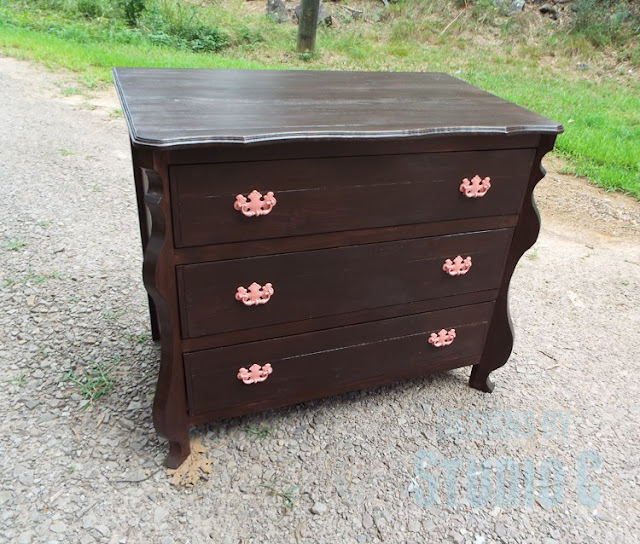 Primitive & Proper takes this dresser from a traditional humble beginning, and the makeover produces a sweet mint dresser with colorful pink knobs for accent. The shape lends perfectly to the style of the knobs, a cottagey and feminine sort. Check out the before and after photos on this piece. This lemon meringue dresser from DD's Cottage is really a work of art. Darrielle hand paints the wreaths in a touch of white and distresses the finish, adding in chips for age, to bring this piece to its conclusion. The white ceramic knobs from us provide only a subtle touch not to distract from the weather worn look and feel. One Dog Woof is making the most out of her narrow hallway entrace. Complete with our glass hooks and indian ceramic knobs, she finds room for storage of gloves, hats, coats, and more. Orphans with Makeup used some of our new hand painted ceramic knobs on this beautiful holiday inspired sideboard. The appliques painted to match suit the piece well. 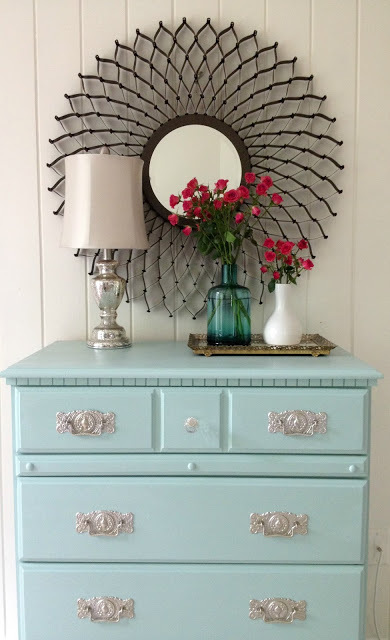 Click over to see tons of wonderful furniture makeovers. 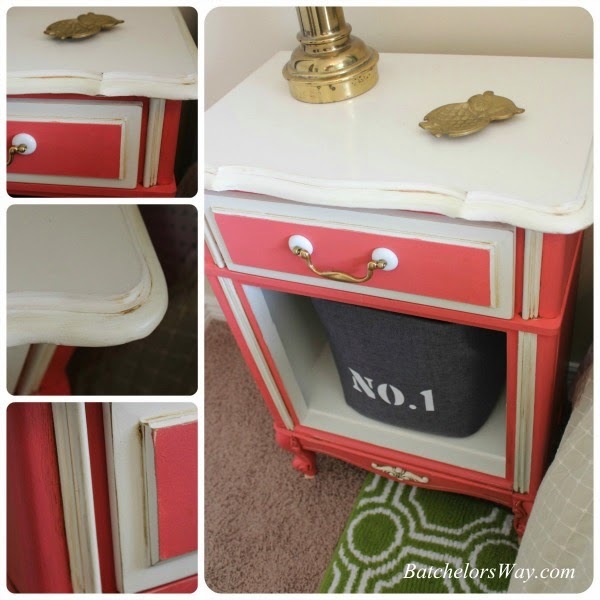 With just a bit of trim work and paint this furniture makeover totally changes and the new look is fantastic. 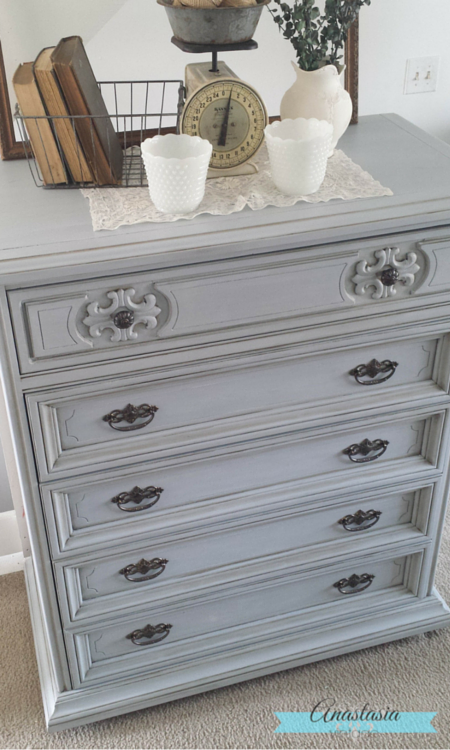 Fynes Designs brings you this tall dresser makeover tutorial with our grey ceramic knobs. Home Made Modern finishes her kitchen with our ceramic insert pulls installed with the help of a jig. Check out her article on how to install hardware on new cabinets perfectly every time. This kitchen hutch is huge. My Repurposed Life put a lot of work into making an epic piece, from painting, to removing the lower two drawers for more space, and finally adding our ceramic cranberry knobs and pulls. 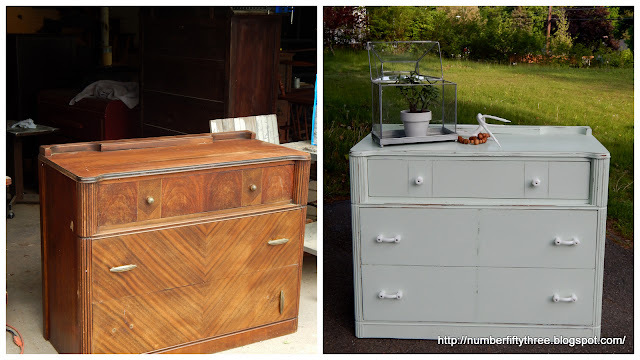 This is a must-see furniture makeover. Hope you liked our blog features of some of the ceramics we carry. To check out the rest of our selection click over to our ceramic knobs. THIS PROMOTION HAS ENDED AS WE HAVE REACHED PLENTY OF PARTICPANTS. PLEASE CHECK BACK NEXT WEEK! Good Morning! I've been lazy and it's been awhile since I had back to back Free Hardware Fridays...but here we are! Today's pull is a discontinued antique brass "rough and smooth" pull from Liberty Hardware. These are brand new and in original packaging. We got a ton of them as a take down from Lowe's and Home Depot a couple years ago. We've been selling them, but I figured with the vast quantity of these I have I may as well spread it around instead of letting them sit in the warehouse. Plus, I can sell them a lot faster with your help. So please participate if you need some pulls and send me pictures of your project. Here is a link to the pull and the rules are below. It's easy, hardware for pictures, no catches! We have certain products that everyone seems to love. Our simple black cup pull is definitely one of them. The quality is top notch and the price of $1.85 stands out as especially low if you've ever shopped for cup pulls. In fact, before we got in use photos for this cup pull and our other cup pulls we actually had trouble selling them as people couldn't believe that they could get a quality cup pull for just $1.85. Well the pictures and this post prove it! I've compiled a nice list of examples of this pull being used on blogs and social media by people that makeover furniture for a living! 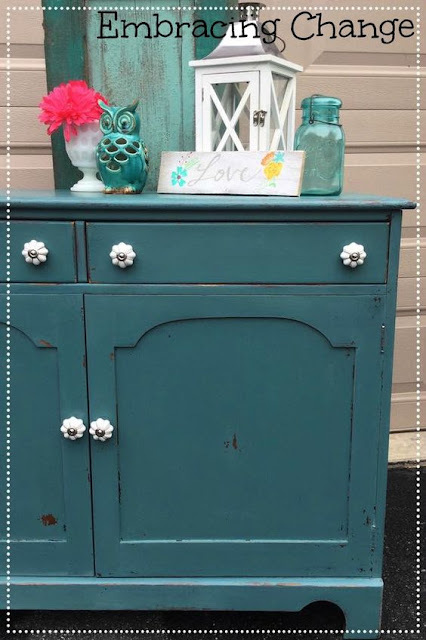 First up is a recent post from Vintage Refined and uses this cup pull on a beautiful distressed dresser makeover alongside some D. Lawless acrylic knobs. Next we have a nice shot of these cup pulls used in a white kitchen Shades of Blue Interiors. 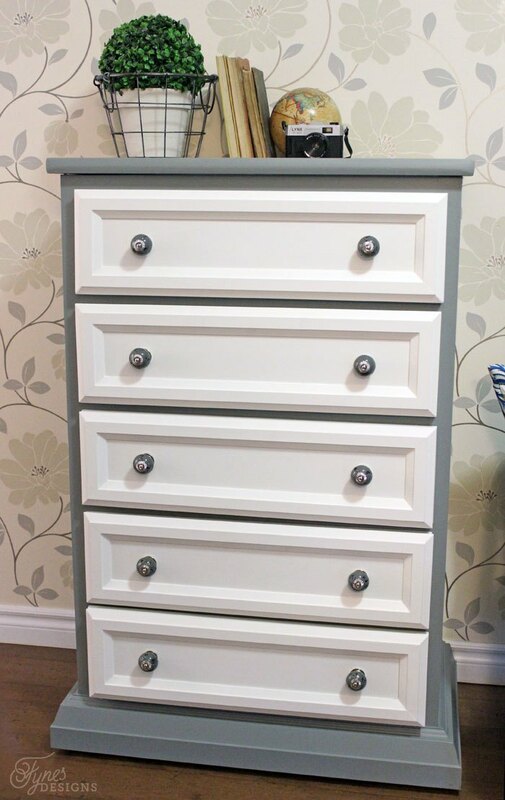 This Restoration Hardware type dresser is an Ikea hack from A House and a Dog and features our flat black cup pulls as well. They are great for an old style look. 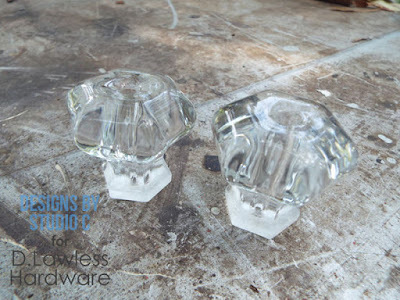 And this beautiful shot of this cup pull paired with our cut glass knobs comes from Ask Anna where she used the combo in her laundry room makeover from several years ago. Hello, I'm posting late today. Busy busy. This is a really nice knob that we've got a lot of. We need your help to sell the rest. Promise to send me pictures after you install the knobs and I'll send them to you free of charge! Here's today's knob and the rules are at the bottom. It's a 35mm beaut in burnished braass! Not many rules, just instructions basically. The unique style of brass bail pulls dates back to the late 18th century. Brass bail handles were first created by inserting posts through small drilled escutcheon plates. The utility of these vintage pulls was quickly realized and the style evolved to complement many different styles of furniture in the era. The popularity of these brass bail handles has made a bit of a come back lately and we're going to feature them today. Multiple styles and sizes provide a great range of choice for your home decor. Let's get started! My Creative Days does an incredible job on this cabinet makeover with stain over paint. 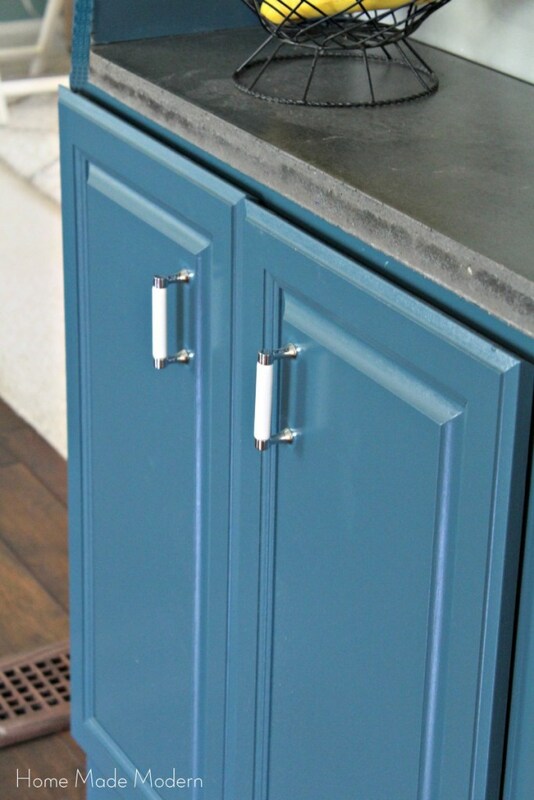 She painted our Sheraton style bail pulls to suit the cabinets new look and the result is fantastic. 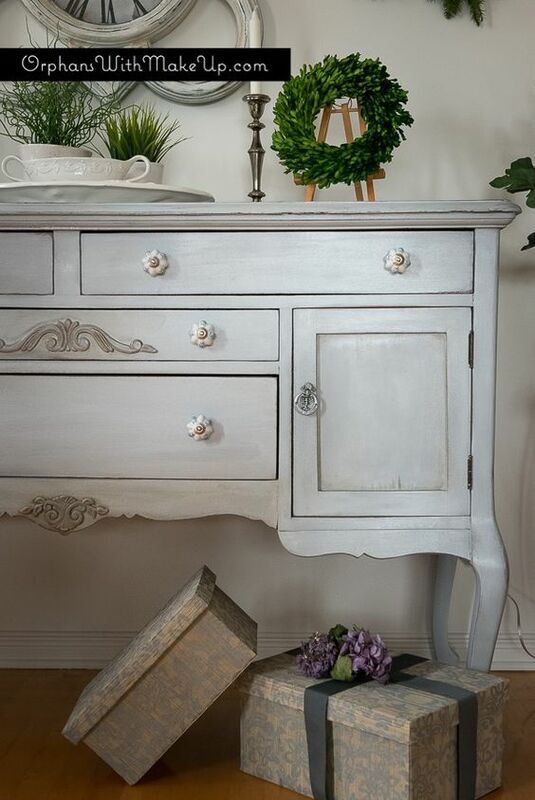 Just the Woods hand paints this dresser in tanner brown and then glazes it with hardware opulence. The hardware opulence not only makes our ornate bail pulls a unique color, but the dresser as well. In this buffet makeover, Vintage Refined, gives a hint of a brown undertone by incorporating dark wax to make for a fabulous finish. She also decided to spray a coat of oil rubbed bronze over our brass french provincial bail pulls. 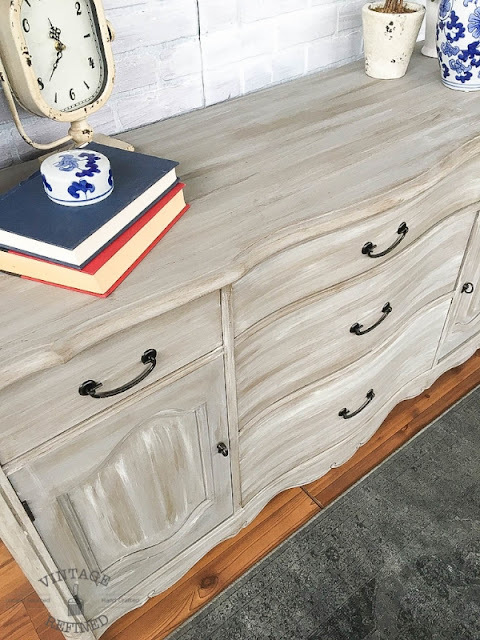 In this farmhouse style dresser makeover, Anastasia Vintage, made a custom grey-blue chalk paint mix to suit and then fnished it off with clear, dark, and white waxes. The updated hardware comes from our brass bail pull selection. In her "How to make a nightstand taller" article, Ronda teaches you how to add a platform and decorates it with our brass on ceramic backplate pulls. 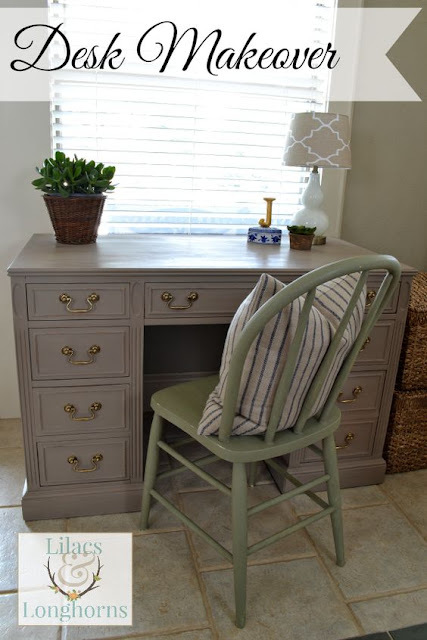 Gray Table Home calls this her Miss Mustard Seed Boxwood Antique Dresser. With our restoration hardware, she changed the finish by painting them with an antique brass finish using Rustoleum spary paint. The style is elegant and vintage all in one. 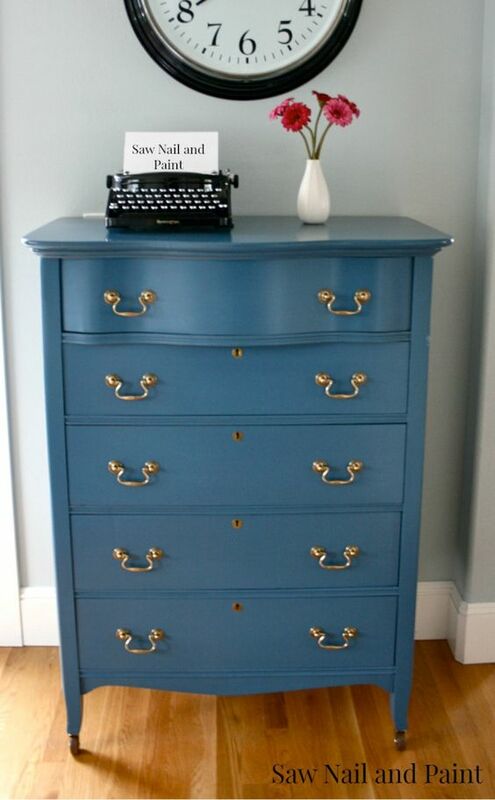 From Saw Nail & Paint, comes this beautiful vintage blue serpentine dresser. 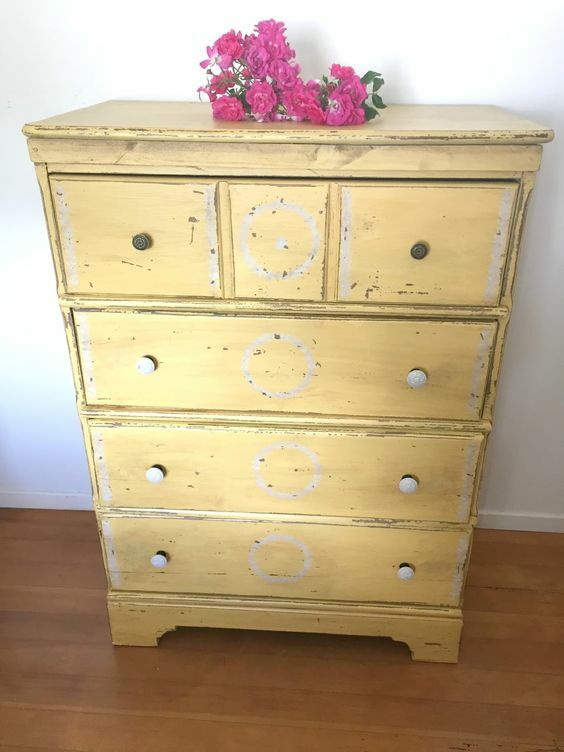 Using a custom paint job and our incredibly low priced (75 cents) bail pulls this 5 drawer dresser is really pleasing to the eye. This piece is extraordinary. A vintage Baker secretary put together with so many different pieces it was like a puzzle in the making. A must-see furniture piece from start to finish, we are proud to have provided the bail pulls to add the final touches. Brought to you by The Painted Drawer. 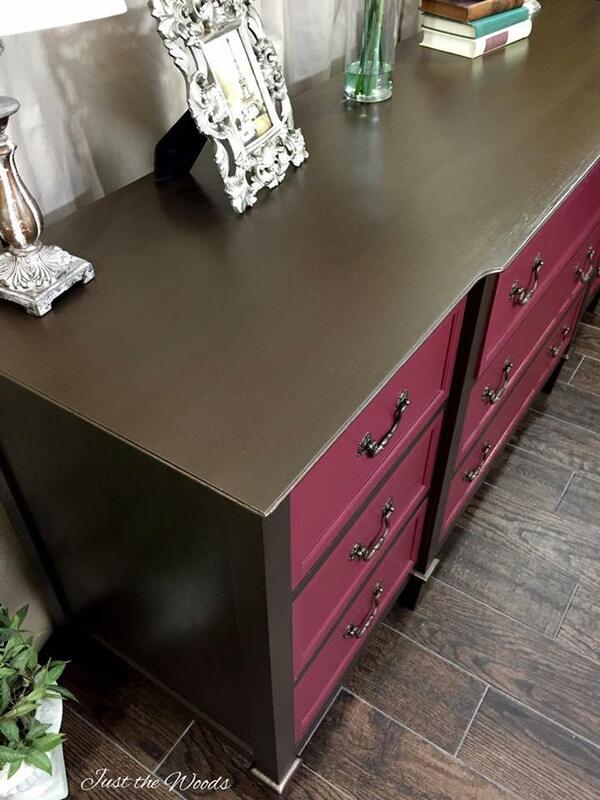 Designs by Studio C has this fantastic raphael dresser with our hardware featured for the pulls. The pulls started out as brass, but they were spray painted in coral to go with the new dark brown stain. 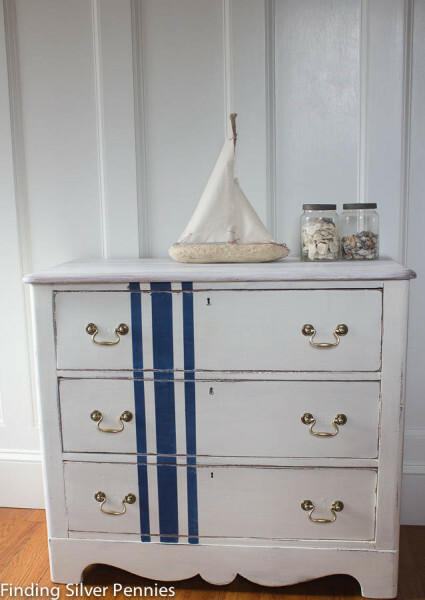 Design Dreams by Anne has this stunning nightstand complete with bail pulls. The piece came together from a nifty little project of Anne's. 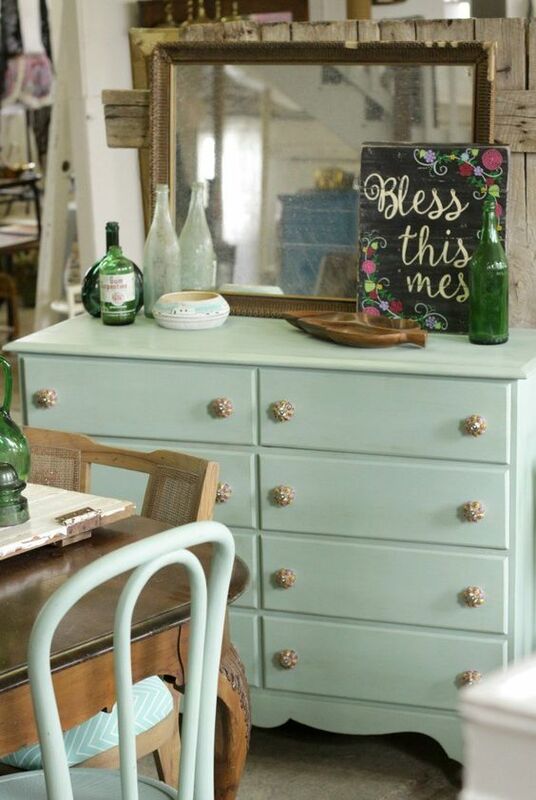 Lilacs & Longhorns has this cute desk makeover. 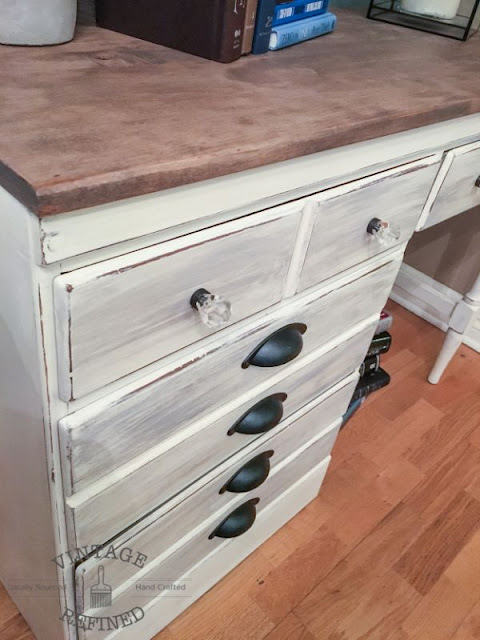 The desk started out looking pretty rough, but using Annie Sloan Chalk Paint in Coco and a good bit of labor made this piece quite fashionable. Meet Tug, the grain sack dresser. 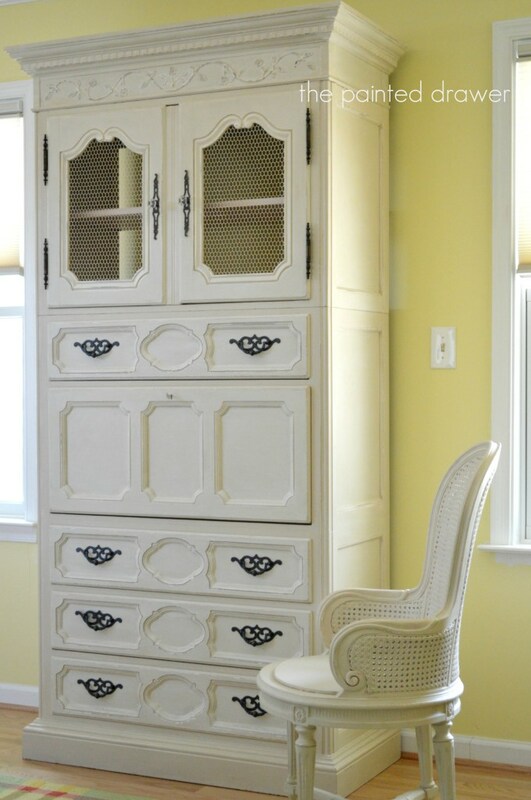 Danielle, from Finding Silver Pennies, took an old pine dresser from the 1890's and produced this fine furniture piece. Live Love DIY primed, painted, and added our brass hardware spray painted in silver for this piece. The entire makeover is a must-see from humble beginnings to a stylish ending. In My Own Style, mixes two finishes, Plaster of Paris and Calcium Carbonate Powder, to make this truly unique hue. Add some new bail pulls and you have some wonderful before and after photos to share over at her blog. Now that you've seen the potential our bail pulls have to add that final touch you're looking for, come on over to D. Lawless and check out our selection of bail pulls, in a range of sizes and styles for that perfect fit. We used to sell a lot of old White Clad icebox hardware and one of our top products was a wall mounted bottle opener that was in the brass reproduction style. After years and years we recently ran out of those and decided it would be cool if we made our own. 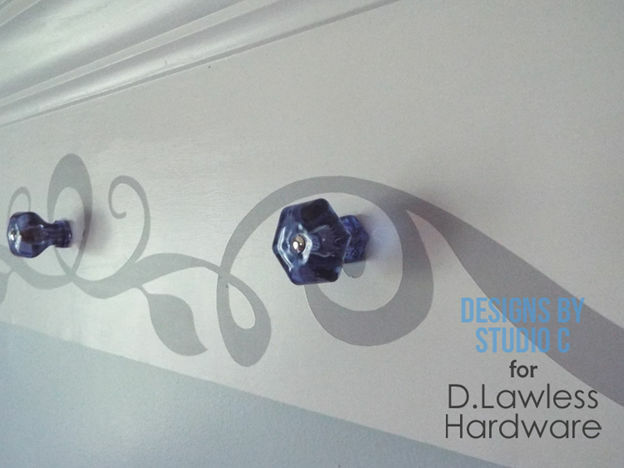 So today we just introduced "D. Lawless Hardware" wall mounted bottle openers in two finishes! You can find them in our Icebox Hardware section. You can click the images to go through to the products and I'll be back in a couple weeks to update this post with some pictures from people using this piece in their home bar or outdoor patio areas. Just a reminder to all our readers and small business partners that the General Finishes 2016 Design Challenge is in full swing and you have until Monday, July 25th. There are five upcycling categories and five first place winners will receive an expo ticket, hotel room for two nights, and tickets to a dinner event for the General Finishes Flippin' Furniture Expo in Chicago October 30 - November 1. D. Lawless Hardware will have a booth there and we are very excited! First prize winners also get prizes from a number of sponsor companies in our little furniture and cabinet niche including us of course! Each first prize winner will receive a gift card from D. Lawless to help decorate their upcoming projects. There are prizes for five categories and three winners per category. You can check out the entries now and get some idea of what your competition will be! Oh yea, and I forgot to mention that the judges are a who's who of furniture and design from around the industry! 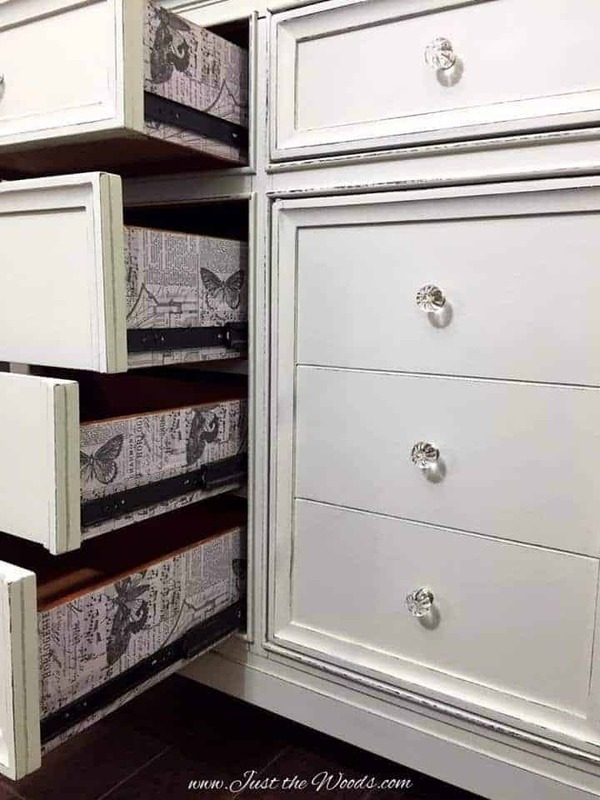 Upon getting so many visits from her site and her YouTube video we realized that out in the warehouses, in our vast inventory, we actually had about 10 more sizes of these "euro drawer systems." They are all brand new, we've just got so much hardware that we can't get around to adding it to the site, setting up shipping, etc. So now we've finally got a whole new line of them up! More to come but we've started with the shorter ones. And, of course, our price dominates everyone else! As you can see from the picture these metal drawer systems act as the sides of your drawer box. This a great way to cheaply build a lot of drawers as all you need is the front and a pull. 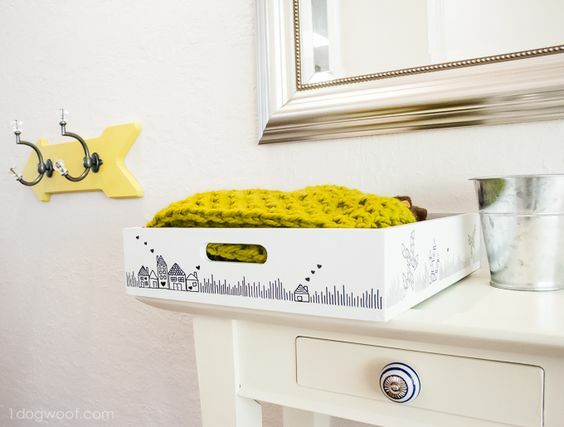 If you are trying to DIY your own drawers, this is MUCH easier than building the whole box yourself. It's perfect for any project with a tight budget or a tight timeline. THIS PROMOTION HAS ENDED. PLEASE CHECK BACK NEXT FRIDAY! We are finally back after the holidays and lot of traveling. I hope everyone had a great Fourth of July! We went to Red White & Boom here in Peoria and the fireworks display was pretty impressive. Today's free piece of hardware is bronze with copper highlights bar pull from Liberty Hardware! 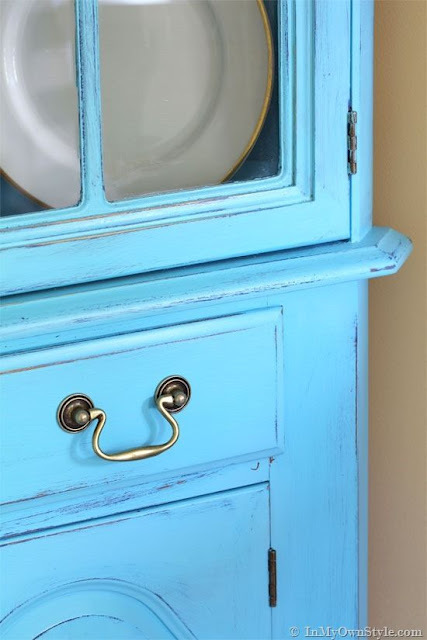 This pull was previously used by the amazing furniture makeover blog Colour Saturated Life out of Australia and you can really see how nice it is in this closeup from an article several months ago. Sometimes I feel like I'm slacking and not getting enough posts out there to show off our hardware. Pictures on the site is the main thing that helps us compete with the big guys. As an unknown it's very important to be able to show the quality of our products on the website and also to get the endorsement of people that really know how to decorate a home and that our customers respect their opinions. Then the end of the month comes and sure enough I've got around 15 posts with our hardware that came out and I realize that I didn't slack as much as I thought and I feel a little better. Seems like i'm always behind with more and more needing done! I'm sure a lot of the bloggers out there feel the same. The first post of the month came from My Creative Days and features a total junker transformation. 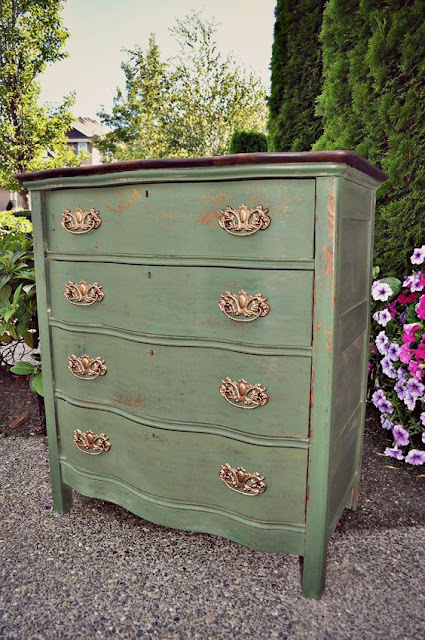 The dresser was total junk to start and it turns out beautiful with some of our restoration hardware painted a distressed green to match the dresser. This next project is actually from Sweet Tea Refinishing, but it was featured on LeslieStocker.com. 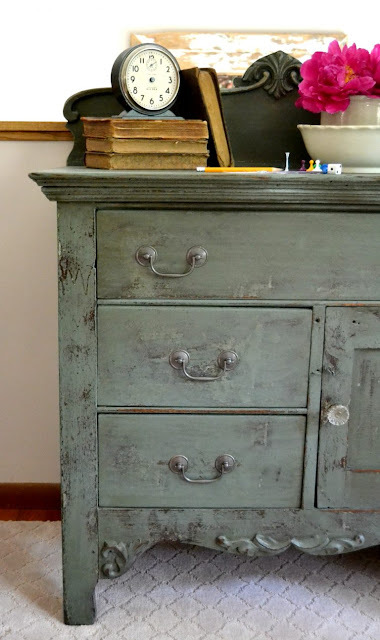 A big project in a distressed grey with matching pewter hardware. D. Lawless loves getting requests from blogs outside of the country. We've been growing and would really love our brand to spread beyond the country. E-commerce is competitive and the more markets we have the better. This post comes from The Painted Hive out of Australia! Kristine used our label holders on a great dresser makeover and in a video tutorial on how to stain timber. This next project comes from Rain on a Tin Roof and features chrome Beverly style hardware from Liberty Hardware. We are Master Distributors for Liberty Hardware and we take the end of season hardware out of Lowe's and Home Depot giving us the best possible price on Liberty Hardware on the net! Nary a month goes by that I don't get a post from Stacey at Embracing Change! This dresser makeover features our glass knobs and a beautiful distressed style paint job. Another blog we can count on for frequent posts using our hardware is Number Fifty Three. We got a couple posts from her in the last couple of weeks, but on of them was in July so I'll post it up next month. 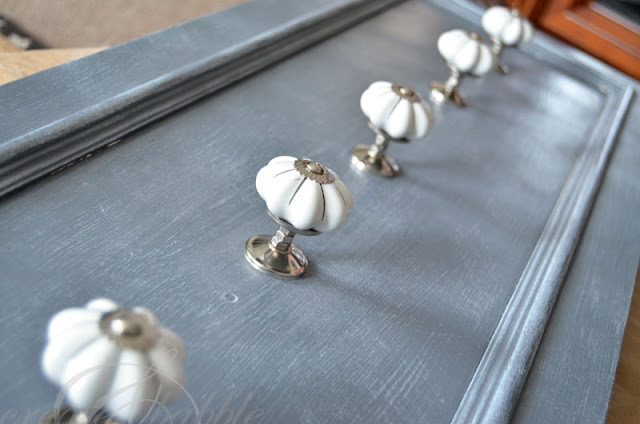 Here's a lovely little pale dresser makeover with our milk glass knobs on it from the middle of June. And the second photo comes from a simple black potting bench just posted last week featuring one of our hand painted ceramic knobs. This beautiful blue little table or bedside table from Susan at The Painted Drawer really helps show off our octagon cut glass knob collection! Another frequent poster for D. Lawless is Kandice from Just the Woods. She used some of our super affordable acrylic knobs that looks just like glass but at a better price on a really creative decoupage dresser. And last but not least, it was great working with Colleen from Lemon Thistle on this neutral tone laundry room makeover! We supplied the stainless steel handles of course!